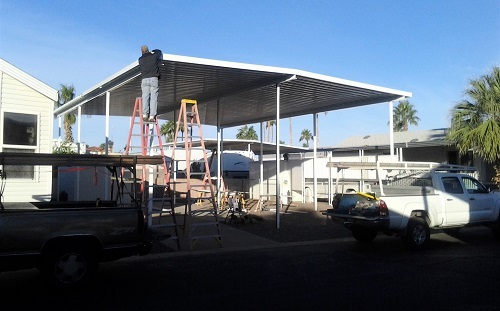 CR Shades serves Arizona with quality aluminum products. We are a small company bringing together many years of experience to the aluminum awnings industry. High quality products are important to us and shown by the owner, Chad Rice, being present on every job. C.R. Shades has been in business since 2006 and has been meeting customers unique requests for patio and backyard covers. Our combined experience expands well over 50 years. 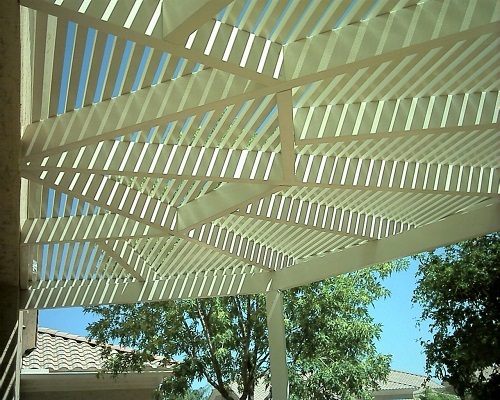 We cover the state of Arizona with quality shade products. No job is too small or too big and location is not a problem. Chad's specialty, and passion, is designing and building custom aluminum lattice covers. We also spent a lot of time in RV parks taking care of all of their shade needs with awnings and window awnings, shade screens and screen rooms. For a free estimate use my Contact Form or give me a call. 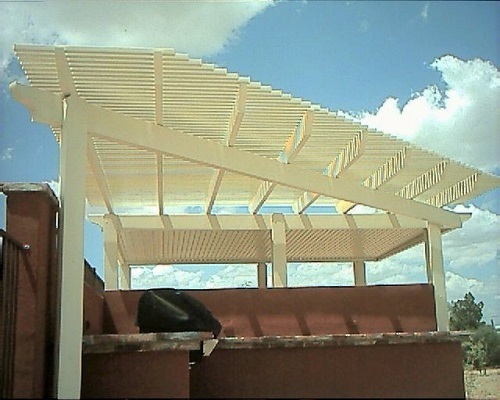 Follow these links for awning contractors in other states.